A child psychologist here has launched a book to help children suffering from auditory and visual hallucinations, usually as a result of trauma - for instance from abuse, or grief and loss. Titled Did You Hear That? Help For Children Who Hear Voices, the book tells the stories of five children from different backgrounds and ages with hallucinatory experiences. 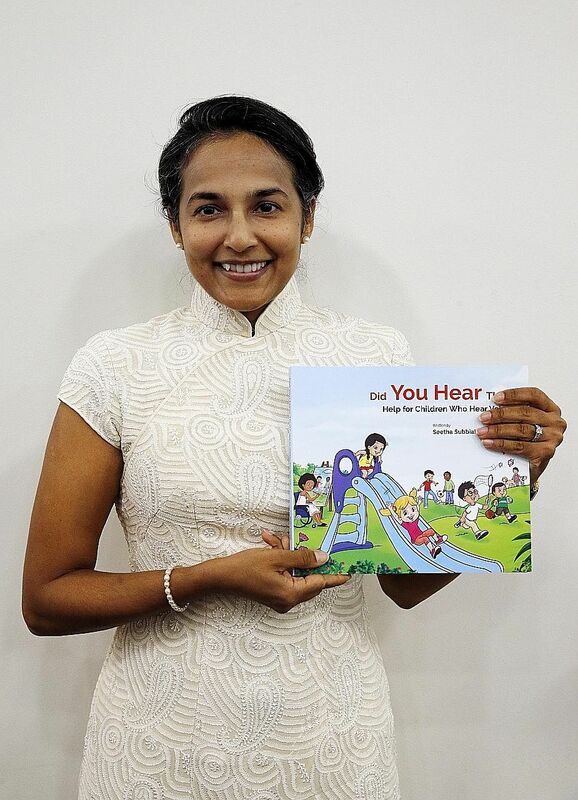 Dr Seetha Subbiah, the author of the book, said it aims to allow children facing similar issues to normalise their experiences and help them find ways to articulate their struggles to those around them. It is also a guide for therapists, caregivers and family members to understand the child's condition and circumstances better. While there are no figures for the number of children who suffer from hallucinations, Dr Subbiah said "it is more than we suspect". Suitable treatments would allow patients to learn how to live with the voices so that they are not intrusive, she said. She said her book was intended to reduce the incidence of false-positive diagnoses of psychosis in children, as well as the unnecessary use of anti-psychotic medication, when the right clinical treatment could help them understand and cope. The book is illustrated by Ms Abi Das, a young illustrator from Kolkata, India. Said Dr Subbiah, who is married to Law and Home Affairs Minister K. Shanmugam: "There's nothing like pictures that can allow people to relate to them. "(The children who experience hallucinations) really want to be understood... When you give them a book like this, you are putting the power of treatment (in their hands)." Former president S R Nathan, the guest of honour at the launch at the National Library last night, said the book would help affected children in a way "that they are not left behind and their experiences are normalised". The book is published by WS Education, a subsidiary of World Scientific Publishing. • Did You Hear That? Help For Children Who Hear Voices is available at all major bookstores for $48 (hardcover) and $24 (paperback).